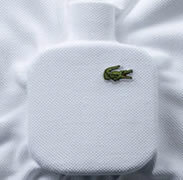 Lacoste Essential for men aftershave begins as a lively, fresh and woody fragrance that is invigorating and energetic blend of green notes, such as black currant, grapefruit, lime and tomato leaves. This fresh fruity essence is given a masculine twist with the addition black pepper and sandalwood. 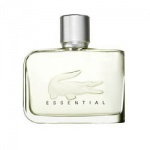 Lacoste Essential is a lively, fresh and woody fragrance from Lacoste. Invigorating and energetic blend of green notes, such with black currant, grapefruit, lime and tomato leaves. 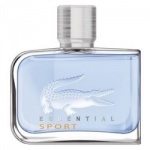 Lacoste Essential Sport has an invigorating edge driven by ice cold citrus and spices, powered by smooth masculine notes.